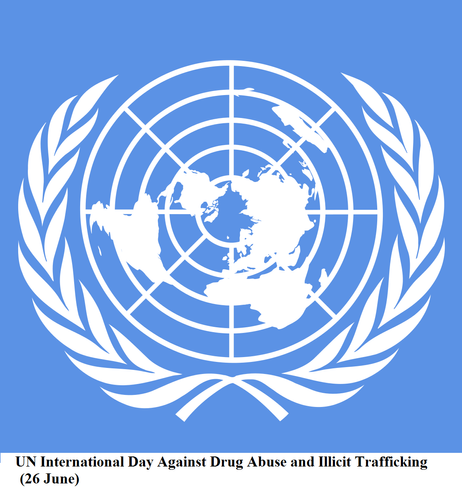 Recently, the United Nations (UN) International Day Against Drug Abuse and Illicit Trafficking was commemorated. The theme for reflection by the United Nations Office on Drugs and Crime, which is Let’s develop our lives, our communities, our identities without drugs, is very apt. 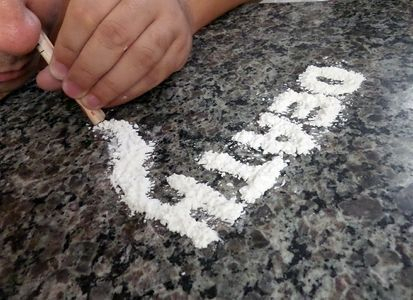 Goa’s identity, besides being the land of sun, sand, sea and foreign tourists, has over the decades transformed from being a pleasant and healthy tourist destination to invoking negative connotations to tourism by becoming a hub for drugs. Drugs have become a scourge, whether in coastal areas, towns or villages. The scale of the problem is undeniably immense and worrisome. An overwhelming majority of addicts are between the ages of 15 and 35, with most of them unemployed and frustrated by unmet expectations in life. There are several trends among the users that are particularly troubling. Now, most young abusers tend to use cannabis, methamphetamine and new psychoactive substances - erroneously thinking these are less harmful and addictive than ‘traditional’ drugs such as opium or heroin. While most people hold a negative attitude towards drug abuse, increasingly liberal attitudes towards drugs has led to a greater number of those aged 17 to 21 thinking that it is all right to try drugs for a new experience. Alcohol abuse is already a perennial problem in Goa and the changing trend is that an increasing number of alcoholics are becoming abusers of drugs. Why drug abuse is of grave concern in the state of Goa? One of the biggest factors is the changing value systems because of cut-throat competition. The education system is directed towards producing skilled professionals with no room for creativity and enjoyment. The race for success and money is on and the expectations of parents add to the burden. Failures and setbacks are unbearable and irreversible to students today. Thus, the effects of drugs are enticing to the young scholars to help them manoeuvre their path against the odds or seek relief from negative emotions. Some of the family factors that lead to or intensify drug use include prolonged parental absence, harsh discipline, failure of the parents to communicate on an emotional level, domestic distress in the family and drug abuse by the parents themselves which provides a negative role model. The lack of economic stability due to the unemployment of a parent makes such families more vulnerable and pushes marginal individuals to find solace in alcohol or drugs. In Goa, single-parent families with increased financial and emotional difficulties is another factor. So also are situations in which parents working abroad leave their growing children on their own at very young age. When it comes to development in Goa, drug control and drug abuse considerations are not often viewed as issues of primary concern. The focus is the promotion of economic growth, therefore, most projects are concentrated in the tourism sector. There has been some recognition that drug related issues should be taken into account, but on a limited scale, owing to the presence of an influential illicit drug industry. The influence of peer groups is another factor which is usually strong during the formative years of youth. Studies have found that peers have a high degree of influence only when the parents have abdicated their traditional supervisory roles. The response to the drug abuse problem has been pathetic. Over the last 30 years awareness of illicit drugs, access to them and their abuse have dramatically increased. Despite major gaps in information, an increase in the abuse of major dependence producing drugs is seen in the state. Reports from the media, NGOs, observations of experts, studies on education, work and health – all point to a serious problem. Even though the nexus between the law enforcing agencies, persons with political power and the drug mafia is a known fact, there is a need to work with these groups and sensitise them to the growing menace of drugs in the state. Reducing the demand for drugs through treatment, rehabilitation and creation of a supportive environment for the drug abuser, is a prerequisite before tackling illicit trafficking. Organisations in Goa are doing their best where the reduction of drug demand is concerned, but Government machinery has been found wanting in tackling the distribution of drugs and the supply reduction. It is commonly found that drug enforcing agencies on apprehending drug peddlers and addicts extort some money from them and set them free, only to catch them again. An important component in the rehabilitation of drug users is the need to work with their families. In many cases, the family’s response to the drug use is extreme anger and negativity. It is also seen that many users conceal their drug use from their families due to the repercussions of divulging the fact. It is no doubt traumatic for the family to accept these facts about their loved ones. Hence it is essential to work with these families to help them deal with the crisis and develop their coping mechanisms. This in turn will help them become the much required support system for the victims of drug abuse. Since resources for specialised assistance for persons with drug problems are very few in the state and the drug menace is penetrating rural areas, existing primary health care settings and networks should be adapted to care for drug abusers. The general health workers should receive training to deal with alcohol and drug problems, especially in counselling and crisis management of early phases of cases of substance abuse disorders. Priority should be given to compulsive heroin or cocaine users. Involving them in treatment programmes would reduce the demand for these drugs and allow supply reduction efforts to be more successful. This is because compulsive drug users consume far more drugs than experimenters. The issue of prevention needs to be addressed systematically. It should not lose out to market forces which are politically and commercially stronger. It is time that voices be raised for a state drug policy. There is need for a strong political will and commitment, along with the zeal and efforts of the community. This would lead us to control the menace of drug abuse and illicit trafficking in our state.